A Major Qualifying Project (MQP) is the capstone project completed by every student at WPI. They are commonly done in teams, and span 3 units of work (the equivalent of 3 courses). Some MQPs are done on campus, typically in three academic terms, and some are done off campus, typically in one academic term. Some MQPs are sponsored by companies or other organizations. Here is a link to the grading criteria I use for my projects. Pandora: Purge of Pride was created as a WPI MQP for the Interactive Media & Game Development (IMGD) and Computer Science (CS) majors. Players in Pandora play as Pandora, a Victorian woman who unknowingly unleashes the Seven Deadly Sins from the "Pandora's Box" of myth. Players must complete puzzles in Pandora's mansion to recapture the Sins. As each Sin is recaptured, Pandora gains a new power with which she can manipulate the environment and solve further puzzles. This report documents the initial design of Pandora, the objectives in creating Pandora, the development process, and the project team's retrospective thoughts on the development process. Obsidian is a concept piece for a larger game in which a team of agile players battle lumbering monsters in diverse environments. 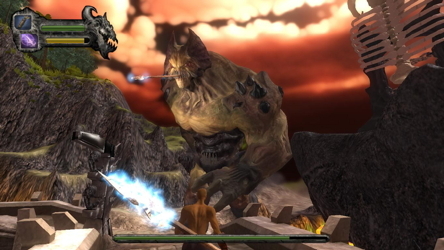 Players must use their speed, skills, and teamwork in addition to an assortment of spears, swords, and daggers to bring down the beast. They will also traverse an environment that encourages players to explore and find new possible ways to defeat the boss as they replay the game. Likewise, the boss will have his own set of goals and desires guided by his perceptions. Each game ends with the boss' defeat. 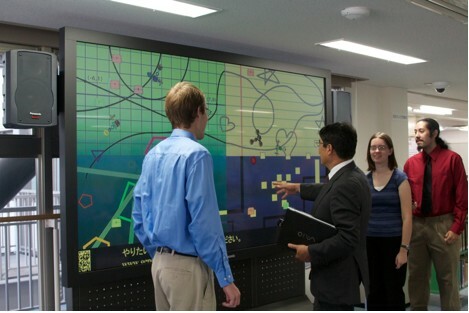 In order to encourage cooperation and communication between Worcester Polytechnic Institute and Osaka University, as well as to explore potential new applications of public displays and mobile devices, a product was designed to allow users to participate in an online, collaborative environment displayed on public monitors located on both campuses, in which each user controls a virtual pet creature. Users are able to connect to the public displays via Web-enabled cell phones and PDAs, which they use to guide and instruct their creatures to explore the environment and interact with each other. 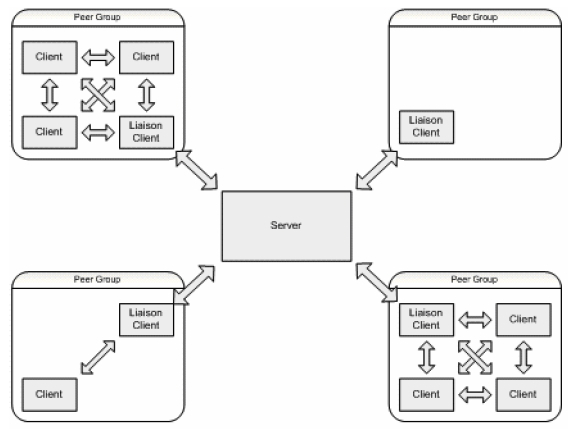 The environment state is maintained on a remote server, which handles all creature and environment updates as well as long-term data management. World information is propagated to the terminal displays, which run a Flash application to draw the environment and the creatures. Via their creatures, users are able to explore, chat, and trade items with each other. Users can also collect items for their creatures to wear, by trading and finding treasures in the environment. As creatures interact with one another, their physical appearance will change over time to reflect their behaviors. This report is an Interactive Media and Game Development Major Qualifying Project detailing the design and creation of two mini-games produced by our team over fourteen weeks. 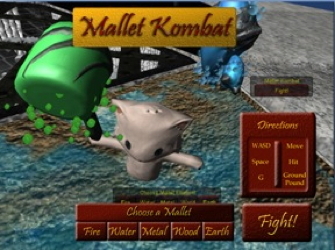 The games were "Mallet Kombat," a fighting game, and "The Element Trail," a procedural platformer. Take control of a blind man. Sound is your sight. Sound is your tool. 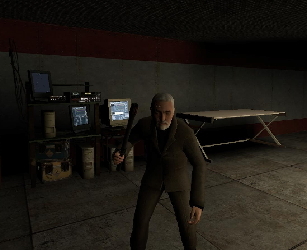 Use head tracking and a wiimote to manipulate the mindless. Blood Tide is a multiplayer, online, action, real-time strategy game for the PC. Two players battle each other using either the Human faction or the Piscivian (fish people) faction. The game allows players to experience both the strategic management of an army incommand mode and the fast-paced, action-packed combat on the battlefield alongside other troops in field mode. Each faction begins the game with three bases that are the life-blood of the army. Units and commanders spawn from these bases, so when all of a player's bases are destroyed, the game is over. 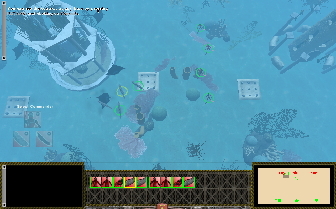 In command mode, the game plays like an RTS. Players can expect familiar controls, such as clicking to select units and right clicking to move them. Each faction has three bases that spawn a unique type of unit - this gives the player three unique units to battle with. 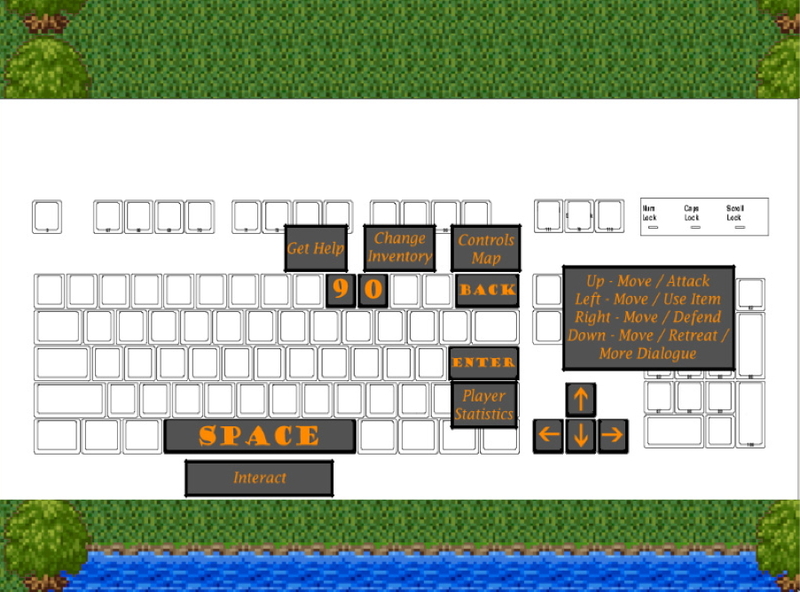 In field mode, the game plays like an action game using a WASD control scheme. 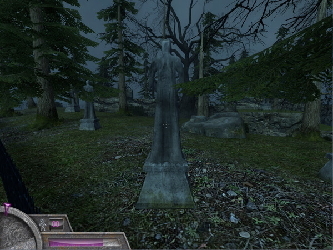 The player can play as a special version of a unit. Instead of just watching commanders perform actions, players must actually aim their skills and dodge enemies. In addition to the regular unit abilities, commanders can earn ranks by killing enemies and unlock new abilities. 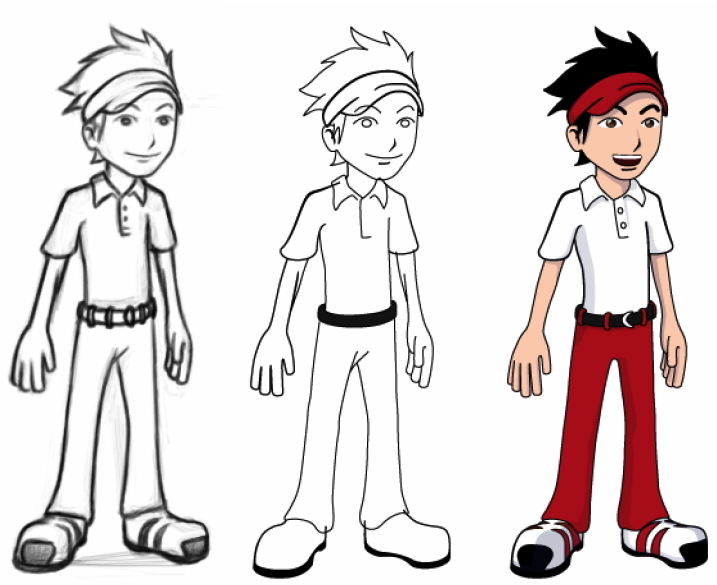 This project was concerned with the creation of art assets for a casual sports game for a Japanese game system. The artwork was required to comply with the art style and specifications as decided by the project team at Jupiter, a Kyoto-based game company, and their client company, as well as fit the restrictions imposed by the capability of the game system itself. 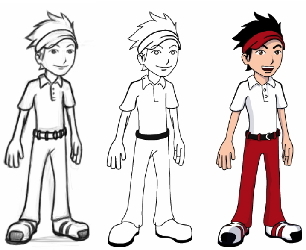 The project was divided into three segments: a training period, a time spent completing assets for the sports game, and the analysis portion in which the paper was written. 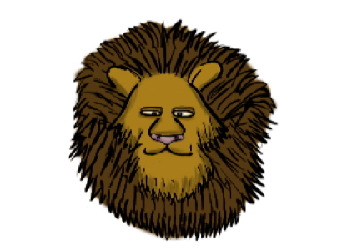 As prince of a pride of lions, you must offset the shortcomings of your s harsh, unforgiving rule. Can you strengthen the bonds of the pride through cooperation and coordination? Can you gain the respect of the youth and the elders through noble and brave acts? Will you stabilize the pride, help them survive in the savannah, and lead them to a better life? The game Food Fight focuses on the importance of balancing diet and exercise in the management of diabetes especially in people over the age of 45. Food Fight is a tower defense style flash game where different foods replace the classic creeps and exercise and diet towers replace the classic towers. Each tower and food type acts in ways that reflect how they act in real life. There are also random events, representing the unforeseen circumstances of life. 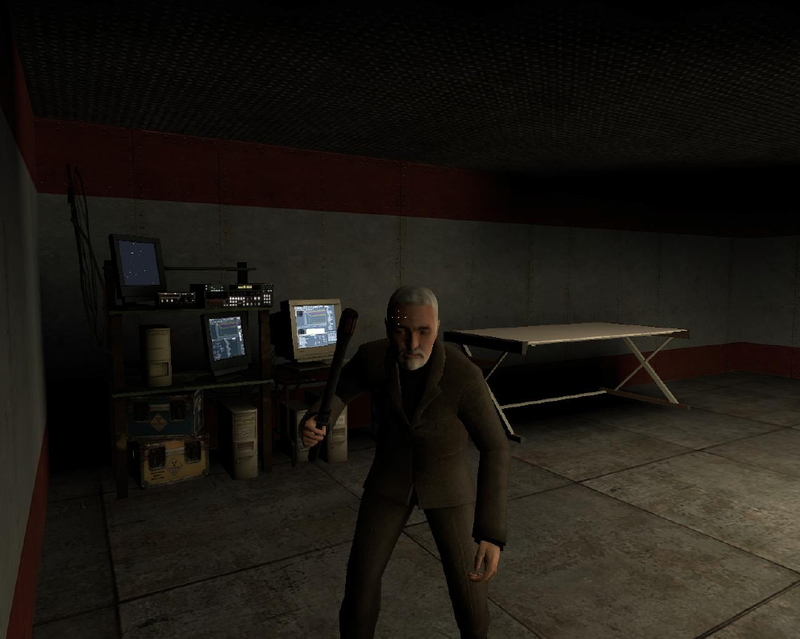 During the game, questions appear from time to time when the player finds himself in trouble. 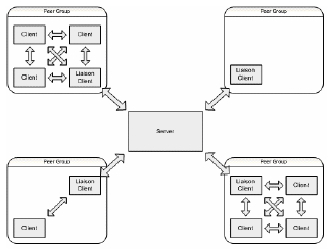 The player's answer, which is stored in the database, reflects his knowledge of management techniques. With enough players, and hence enough answers to questions, patterns in people's diabetes management techniques can be found. Petrified is a multiplayer survival-horror game. In each round of Petrified, up to fifteen players can join in as Mortals, while one additional player is selected to be the first Watcher; the Watcher must seek out the Mortals, moving only when they are not looking, until it is ready to strike. Each attacked Mortal becomes a new Watcher, cursed to seek out more Mortals until all are converted or day finally dawns. The Mortals must try to evade and defend until dawn, and their struggle will grow ever more desperate as more and more players fall and join the opposition. 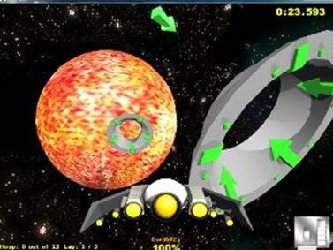 Hooping is a 3D racing game set in outer space. Instead of driving left and right along a flat track as with most other racing games, in Hooping you can turn your ship in all three dimensions. The course is laid out as a series of hoops, or checkpoints that you fly through. In between these hoops are a variety of obstacles to hinder your progress! 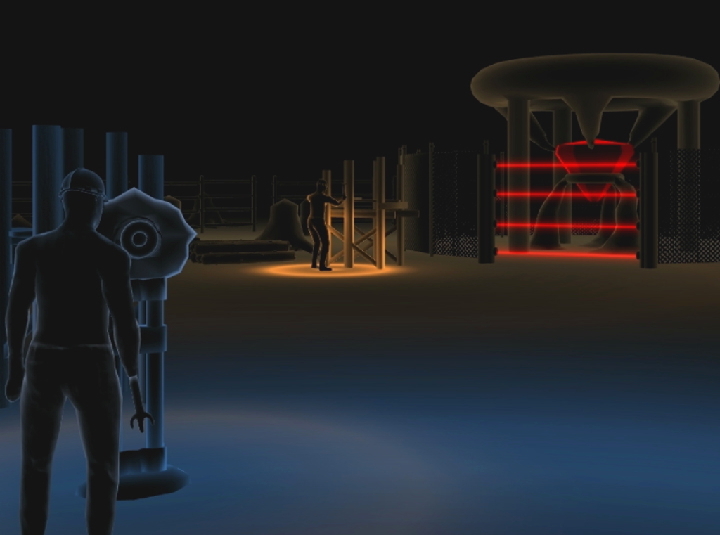 Dreamspace is a single player adventure game set in a derelict space freighter, the MSC Jacob. The player must journey to the bridge of the ship and discover why he is on the Jacob and how it got into its current state. 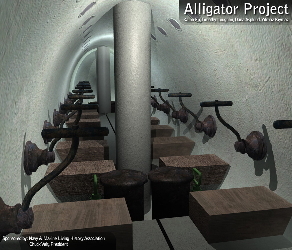 Alligator, a three-dimensional Civil War submarine simulator, is designed to teach middle and high school students the basic concepts of naval navigation and tactics. 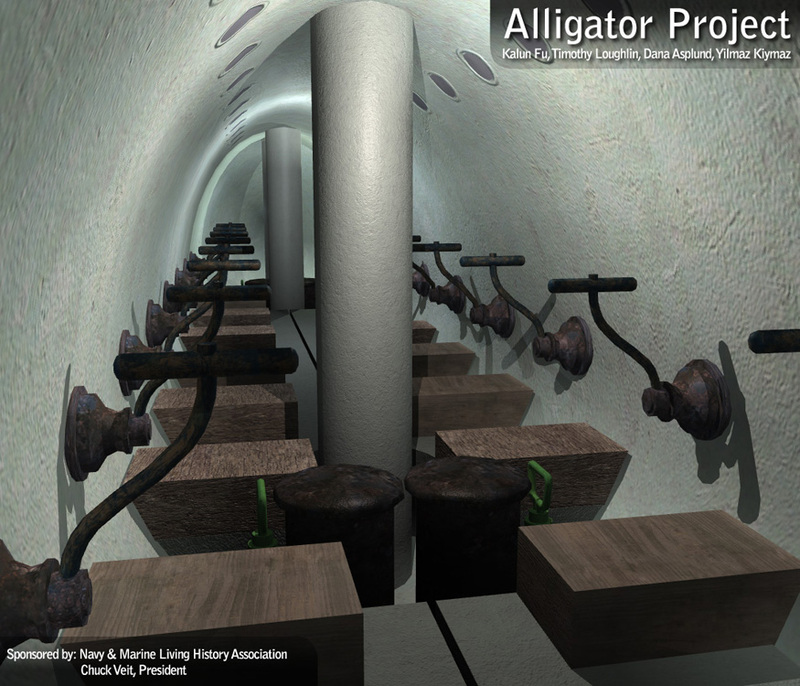 Developed for the Navy and Marine Living History Association, the project attempts to realistically portray the hardships and technological challenges of piloting the Union Navy's first submarine. Students will have to plan attack and escape routes, compensate for tides and currents, and execute their plan in a full three-dimensional environment. GPU Optimization of an Existing Free-Viewpoint Video System GPU Optimization of an Existing Free-Viewpoint Video System. 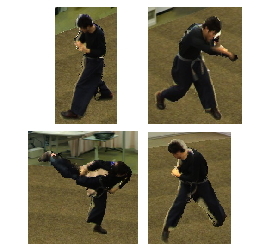 Many video reconstruction systems seek to recreate a scene from captured video sequences but are unable to perform at interactive framerates. 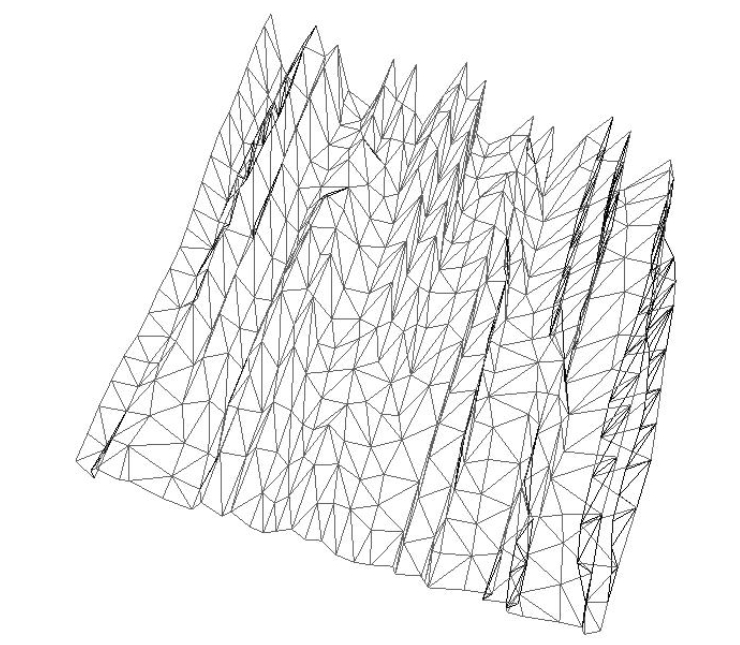 This project presents the optimization of such a system by utilizing a Graphics Processing Unit (GPU). The specialized nature of the GPU offers many challenges in non-traditional graphics pipelines, but can offer great performance benefits. This paper presents the process by which a next-generation GPU is utilized to accelerate the visual hull reconstruction and rendering in "Cinematized Reality." The project was to create a game to teach climate change to 9-14 year-olds for the FIRST Lego League Challenge. We designed a card and computer game with 80 unique cards with original graphics and content. We performed extensive play testing with over 40 subjects to guide multiple revisions of the game play and rules. 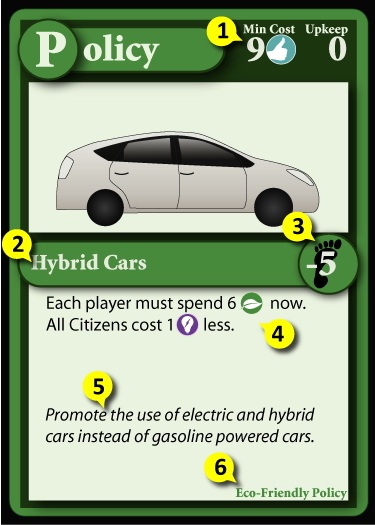 We produced a professional level card and computer game that presents climate change from multiple points of view and is enjoyable and accessible to all ages. The purpose of this project was to design a new handheld controller based on research regarding previous designs using current and new technology. 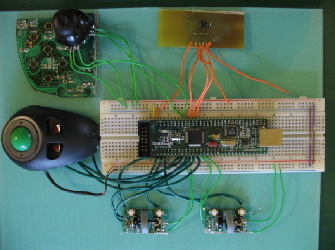 Specifications were drafted to provide guidelines that included the functionality of the controller, the specific components needed to provide that functionality as well as how it should communicate with a personal computer. Navigation, object manipulation, a modal design, and USB communication were the center of the specifications and design. To aid in the implementation of the controller, a virtual environment was created to test the controller's functionality. Future work includes the expansion of user testing to measure its use, expanded functionality of the environment, and a casing to house the current prototype state of the controller. 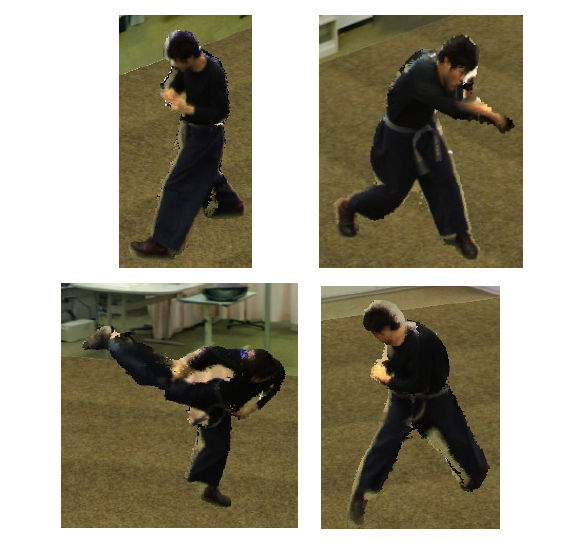 Optical tracking systems are a useful method for tracking body movement in virtual environments due to their scalability and minimal dependency on cumbersome, user-worn devices. The great expense of commercially available optical tracking systems make them cost prohibitive for many institutions. A cheaper optical tracking was constructed by substituting expensive computer-vision cameras and lighting systems with cheaper, off-the-shelf components. A subject wearing a retro-reflective marker can be tracked by four cameras fitted with inexpensive LED lighting rings that provide illumination for the scene. 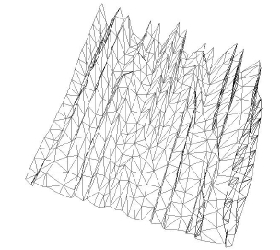 The two-dimensional image processing is performed by four low-end PCs which relay the information to a fifth machine to calculate the three-dimensional position of each marker. 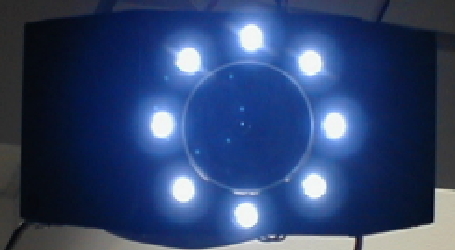 The optical tracking system provides update rates suitable for interactive use. While the system is currently limited by the number of markers that it can track, future improvements could make the system a reasonable alternative to commercially available systems. Since video games have become more complicated, requiring more comprehensive in-game help, our project's goal was to provide a tool to fulfill the need to study in-game help. Our tool is built on a custom game and utilizes different types of help in different instances of the game, records time spent using help and is fully extensible. 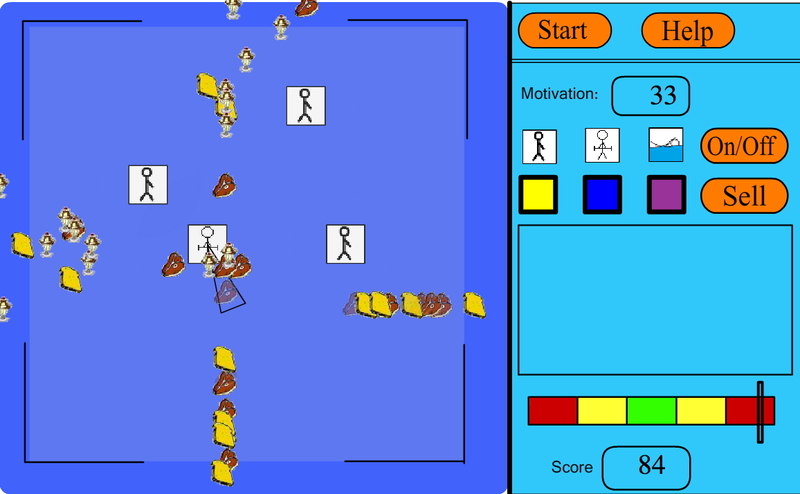 By providing a video game tool that collects empirical data of learning habits, researchers can analyze the effectiveness of in-game teaching methods.